Longtime collector W.G. 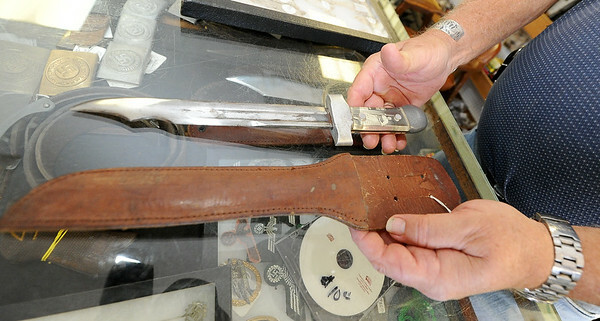 "Trip" Triplett, of Circle T Collectibles in Carl Junction, holds a theater knife crafted from a bayonette by a U.S. service member. The knives, made in World War II, contained photos of loved ones under a plexiglass handle.